With a projected growth rate of 22.6 percent for medical assistants from 2012-2022, Idaho offers the promise of many opportunities for employment now and in the future. Between public and private community colleges, vocational schools, and career colleges, there are plenty of options for medical assisting schools in Idaho. While salaries vary from city to city, on average Idaho medical assistants earn a salary comparable to the national average.If pursuing a career in a burgeoning field is appealing, discover the requirements for becoming a medical assistant in Idaho including education, certification and programs. Idaho has a number of options available for aspiring health care professionals, specifically those interested in medical assisting. A degree or certificate in the field gets graduates in on the ground floor so they can start impacting others’ lives for the better. Medical assistants work with patients and help to manage health care facilities, hospitals, clinics and physician offices, ensuring patients are taken care of and records are kept up-to-date. But navigating the list of quality medical assisting programs can be a challenge, which is why we’ve started the research for you. 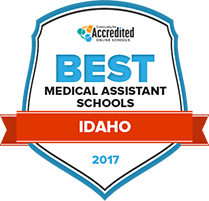 Here you’ll find the 2017 Top Idaho Colleges for Medical Assisting. North Idaho College offers medical assisting programs in both certificate form and in the form of an associate of applied science degree. 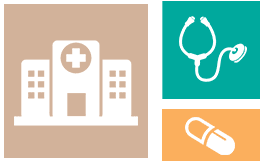 Each of these programs will help to facilitate student advancement into their career of interest, and incorporate courses designed to develop a student’s skills in medical office management, medical billing and coding, and medical ethics and laws. North Idaho College is an excellent option for students interested in beginning a college education, but are worried about the typically high prices of attending school at the college level; with low tuition rates and a variety of financial aid opportunities, earning a degree with North Idaho is an achievable goal. Medical clinics, hospitals, and urgent care centers are always in need of more medical assistants, which is why Eastern Idaho Technical College put together a degree program in medical assisting. Students enrolled in this program will become competent in understanding the medical business from both the clinical and the administrative side, making them highly marketable when it comes to post-graduation employment. EITC offers a large selection of degree emphases, varying from transferrable associate of art/science degrees, vocational associate of applied science degrees, or specialized skills certificates, ensuring all enrolled students will find a program of interest. As you begin to examine your options, here are several Idaho medical assisting programs available at community colleges, vocational schools, and universities in Idaho to get you started. Students combine classroom and lab instruction Monday through Friday. The program includes a 180-hour practicum in a physician's office. Graduates may sit for the Certified Medical Assistant (CMA) Credential exam through the American Association of Medical Assistants. Graduates can sit for the Certified Medical Assistant exam. Courses include pharmacology, medical transcription, and a clinical experience. The medical assisting degree programs are part of the Business Technology & Services Division of the school. The program accepts 18 students each year beginning in January. 94 percent of medical assistant graduates of this program were employed or continuing their education in 2015. Graduates are eligible to take the national certification exam for the Certified Medical Assistant (CMA). How does Idaho define the role of a medical assistant? Medical assistants in Idaho are unlicensed support staff members who assist physicians and other healthcare professionals in completing administrative and clinical tasks. They carry out basic procedures, such as taking vitals or administering injections, in medical clinics, private practices, and hospitals and perform the administration duties that are necessary to keep front offices working smoothly. Idaho does not require medical assistants to be licensed, registered or certified to work in the state. However, because many employers prefer to hire certified medical assistants, there may be fewer medical assistant jobs in Idaho available for those who are not certified. Does a medical assistant need training and education to work in Idaho? The 2014 salary figures below from the Bureau of Labor Statistics (BLS) compare earnings for medical assistants in Idaho with wages nationally. While salaries for medical assistants in Idaho vary depending on geographical location, the BLS wage amounts from 2014 below illustrate the similarity among salaries in the Gem State. Those in medical assistant jobs in Idaho Falls, ID earn slightly more, while those in Lewiston earn a bit less. An aging baby-boom population and increased access to health insurance both contribute to the demand for healthcare support jobs in the U.S. The projected growth rate for medical assistant jobs in Idaho is 22.6%, which reflects a need for medical support personnel to perform routine administrative and clinical duties, freeing physicians to see more patients. The table below compares projected job growth for medical assistants in Idaho with the national figures. This report is based on a survey of medical assistants across the country by the American Association of Medical Assistants to compare earnings and benefits. AAMA is a member organization that provides education, certification, credential acknowledgment, and networking opportunities to medical assistants in the U.S., including those in Idaho.AAMA Idaho Chapters:Idaho Falls Medical Assistants. This course, offered at six post-secondary technical education colleges in Idaho, prepares students to assist patients who cannot independently administer medications. Download this article from the website of the American Medical Technologists (AMT) to learn about state laws affecting the authority of physicians to delegate clinical tasks to medical assistants in several states, including Idaho. Discover salaries for medical assistants in Idaho and read job listings.